Green frogs are tremendously romantic, romantic without remedy! 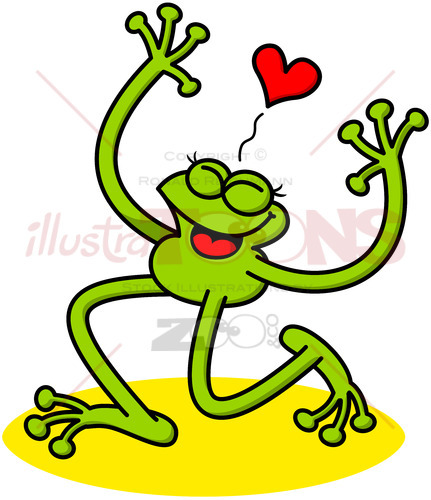 Romantic green frog widely opening its arms and raising a leg while showing a red heart above its head. It’s smiling generously while showing how much in love it feels.